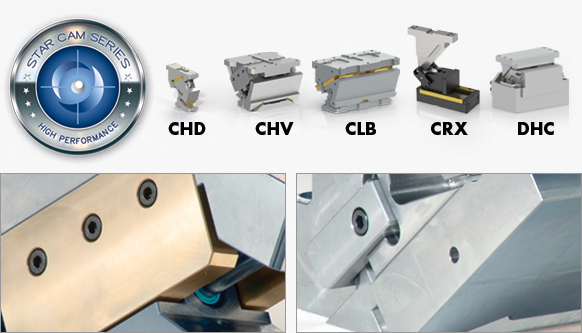 Since over fifteen years OMCR works in the fields of shearing cam units and it gained a wide experience both in designing and in realizing cam units in various geometries and dimensions. This catalogue offers a wide range to satisfy almost every technical need. 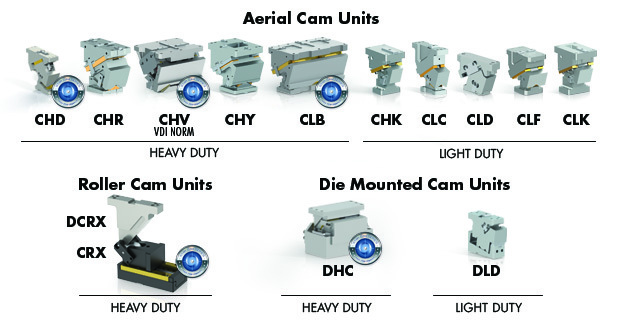 Fourteen ranges of Cam Units divided into Aerial Cam Units, Die Mounted Cam Units and Roller Cam Units. Among these ones stands the Star Cam Series, cam units which express the best characteristics in performance, competitiveness and service. The Star Cam Series ensures the highest quality, quick delivery time and the total availability of replacement in stock.